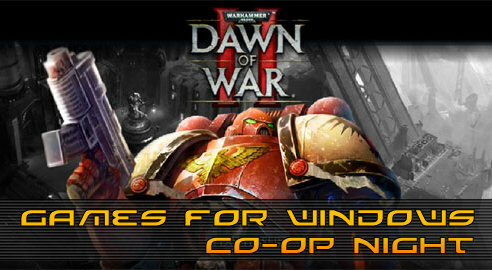 Co-Optimus - Event - Dawn of War 2: The Last Stand Co-Op Night and Contest! Dawn of War 2: The Last Stand is out right now, simply fire up Steam and you'll be updated to the latest version of the game and all the co-op goodness it contains. Need the lowdown on just what you are getting? Then check out this post on the official community blog. As you may know, we're going to have a Games for Windows Co-Op Night this Friday, October 16t, starting at 9PM EDT. While Relic is holding their own contest, we thought we'd have a little contest of our own - courtesy of the Games for Windows team. 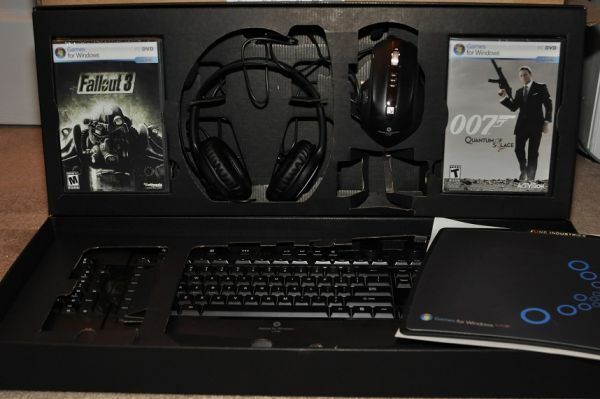 We've got a Games for Windows prize pack that contains quite a few goodies. So how do you win? You'll need to send in a screenshot of your team's best score for the night - either post it in our forums or email it dow2contest@co-optimus.com. We'll pick one winner at random! It'll be up to you whether you split the stash with your team or not. Sorry US resident only. Entries must be received by Saturday, October 17th at 3AM EDT. Remember things kick off at 9PM, you can find the event on our Steam page. You can use our chat room on there as well to coordinate with other players! Page created in 0.2350 seconds.